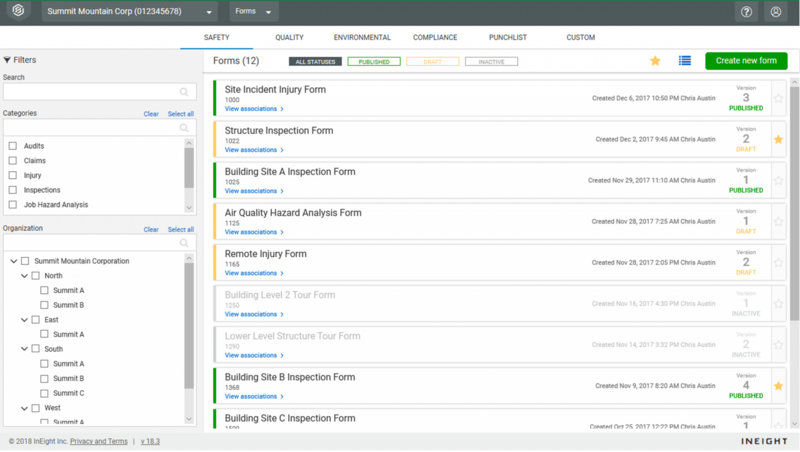 InEight® Inspect allows construction companies to create custom forms that capture data for safety, quality and other compliance programs. The forms are available on a mobile device, which allows for completion in the field, where the work happens. Completed forms can be routed for review and approval via an automated workflow. Approved forms confirm compliance with project requirements and allow for follow-up tasks to be created. Resulting data can be used to identify trends and initiate corrective action. We have so many different forms for safety, quality, and regulatory compliance. But you never know if they’re current, and someone has to enter all the data from the forms into a separate system for reporting. It’d be great to centralize and automate all that. We’re in charge of managing risk and delivering a quality product by ensuring compliance with the contract documents. We need a system to stay on top of safety incidents and quality issues so we can immediately take action to minimize their impact. We need to be able to completely control form versions and publish them to the field for consistent data collection and reporting. 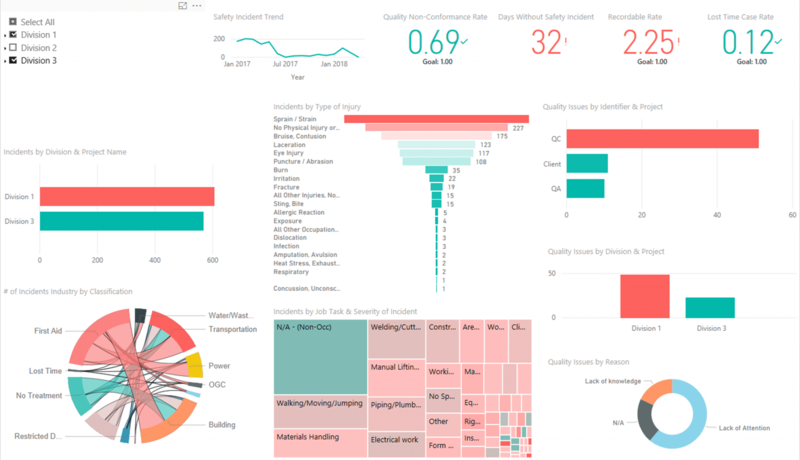 We need to review and analyze incident reporting data in real-time to effectively manage incidents and prevent future occurrences. Certain activities on a project have to be performed on a periodic basis – safety walks, environmental compliance inspections, etc. A huge step forward would be finding a way to automatically schedule these items and then follow up to make sure they’re getting done. We need the ability to automate our workflows with task and schedule reminders that make sure inspections take place on time. Use standard modules for safety, quality and punchlists, or customize your own to capture and track exactly the information you require at every stage of the work. With InEight Inspect, you can quickly update workflows as your processes change over time. 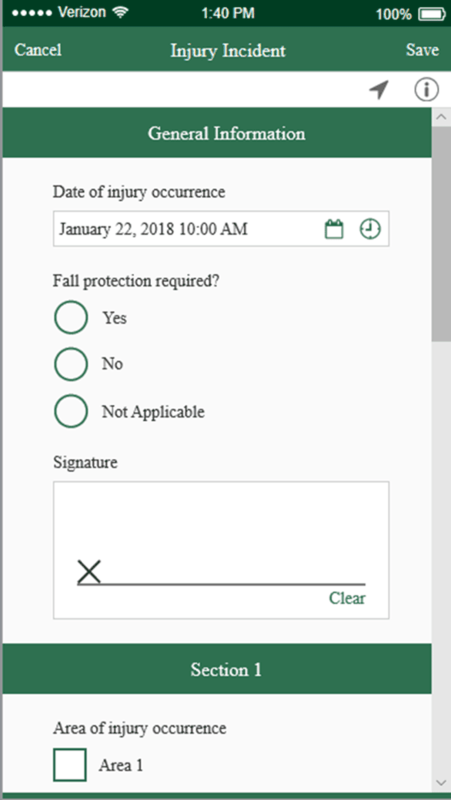 Build mobile-ready forms to simplify and standardize field data collection. 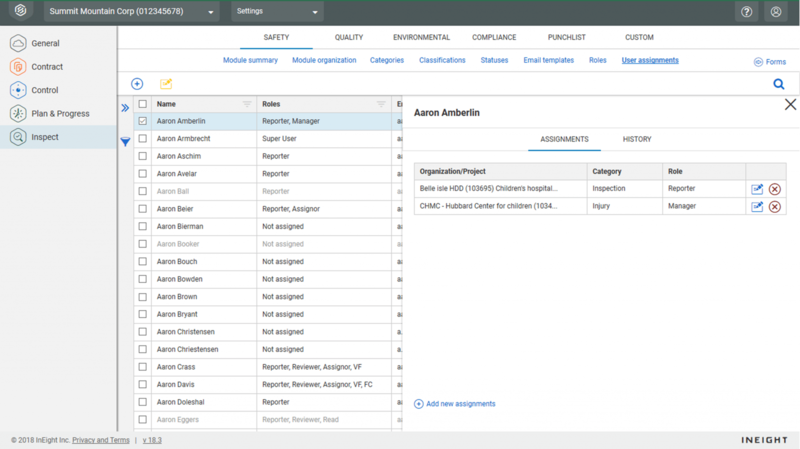 Use InEight Inspect to collect incident information from the field via standardized forms for data consistency. Every workflow you automate through InEight Inspect facilitates investigation through resolution to completion. 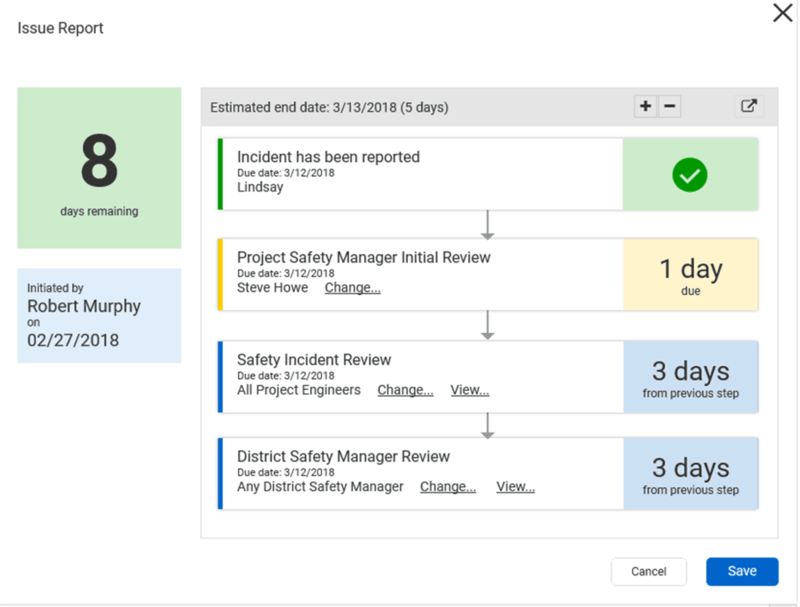 Keep your project team ahead of issues with automated reminders for scheduled tasks and inspections. Field data collection is simplified and thorough using forms you create in InEight Inspect. From a mobile device, add more detail to observations with notes, photos and GPS location. Know that your data and personnel information are protected. Set role-based permissions in InEight Inspect to share only the data that is required for each job responsibility. Limit proprietary data and compliance records to only those who need them. 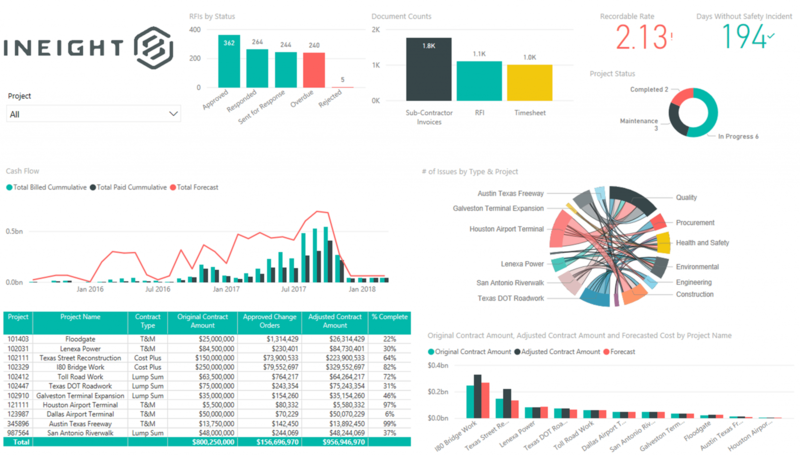 Review and analyze incident reporting data in real time. InEight Inspect allows you to collect data from the field and use it to populate shared dashboards. Organize, analyze and trend data to uncover areas for improvement and to fix root causes that can prevent future occurrences. Take early action to resolve growing problems. General contractors and construction managers can use InEight Inspect to mitigate project risk by analyzing inspection data. Flexible report views can highlight potential issues by location, subcontractor, schedule, work package and more.